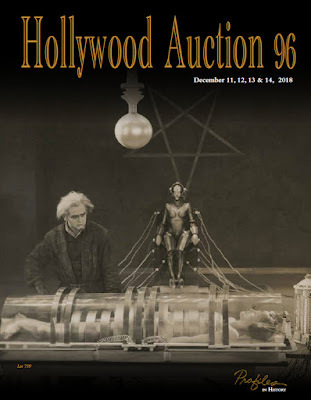 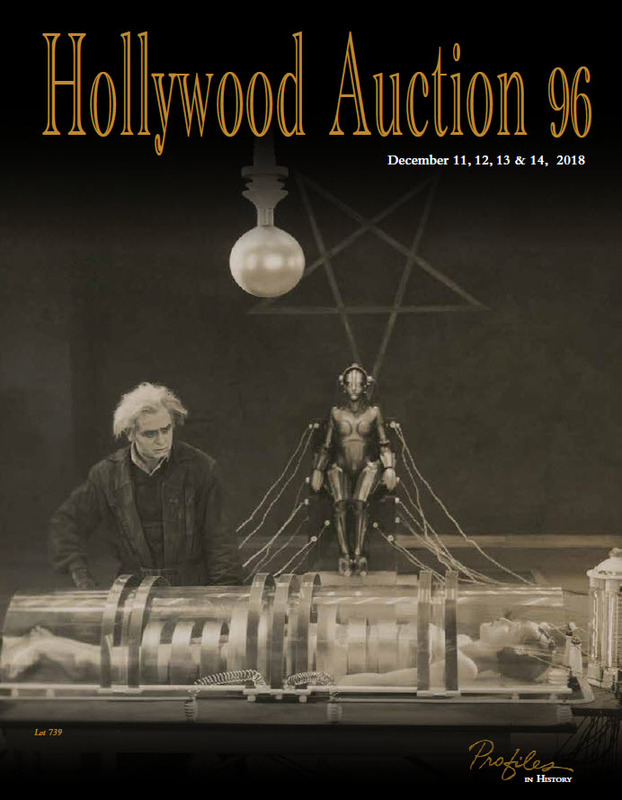 On Thursday, December 13th at 11:00 am PST, Day 3 of Profiles In History's "Hollywood Auction 96" will commence at Profiles headquarters in Calabasas, CA. 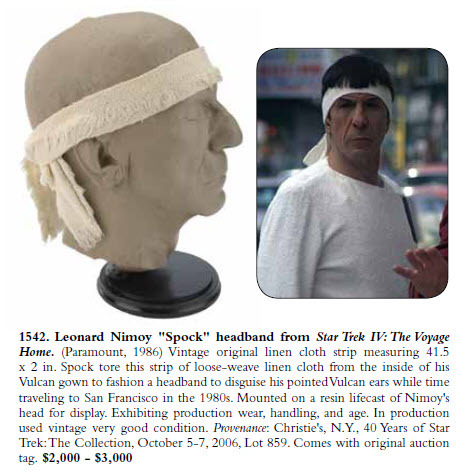 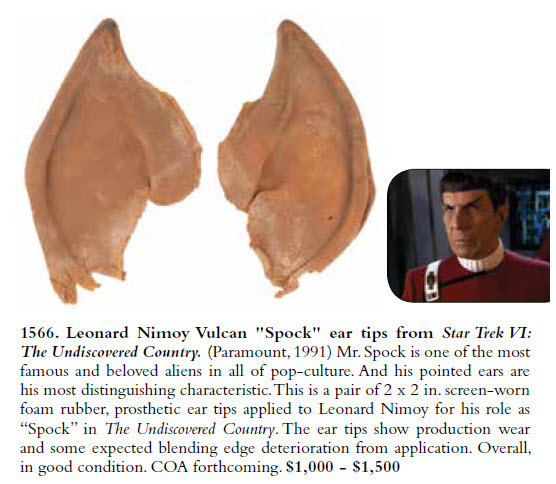 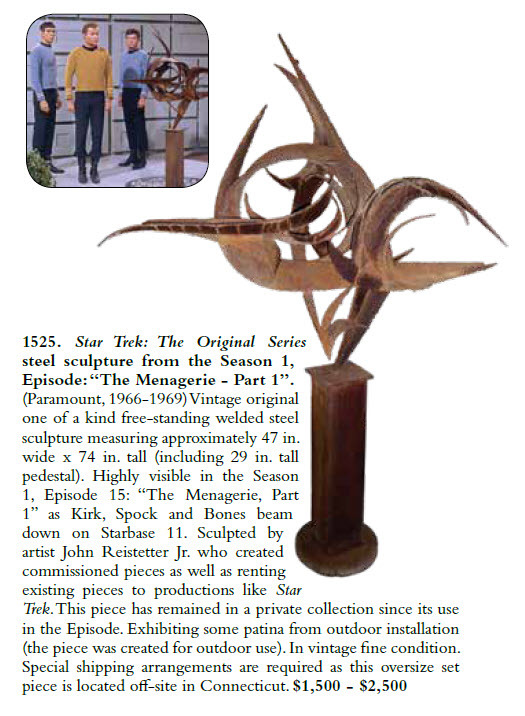 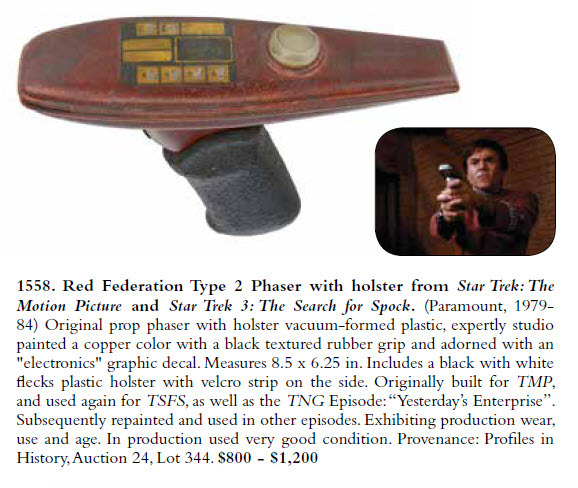 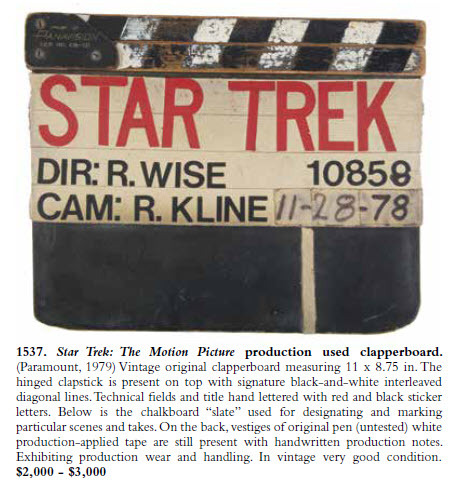 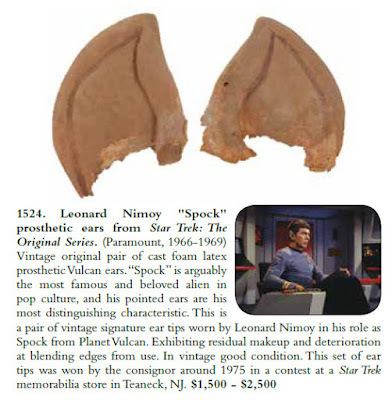 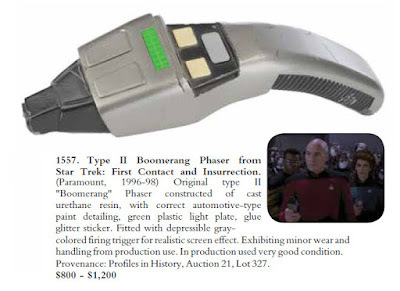 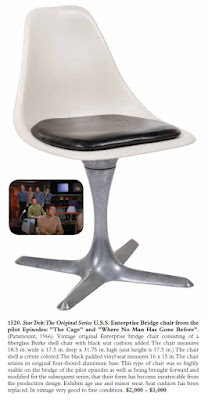 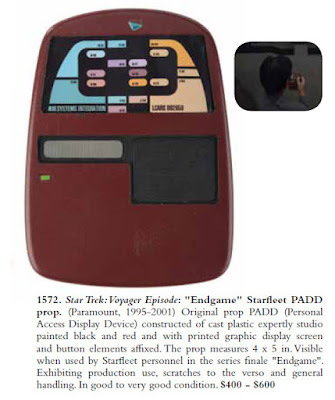 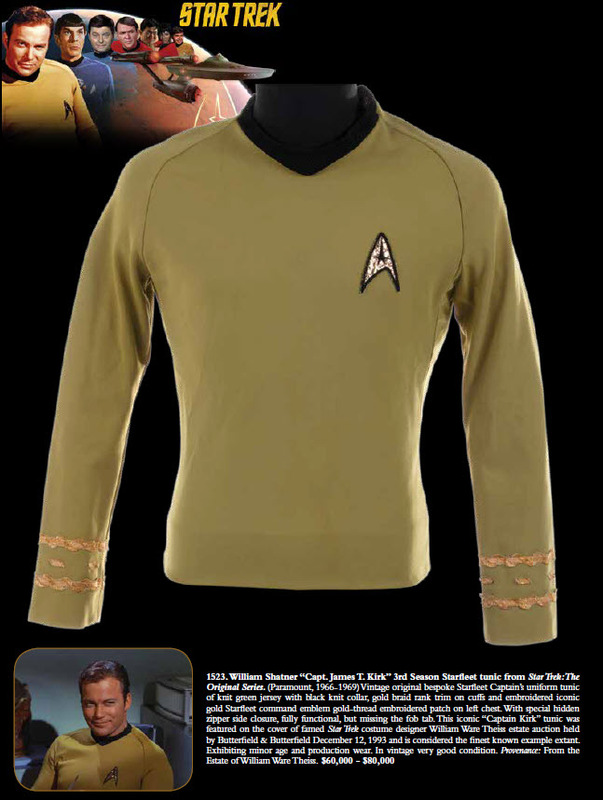 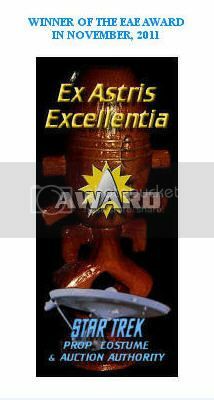 A total of 70 lots of Star Trek memorabilia will be featured in the sale; forming a very impressive offering of screen used and production related artifacts from across the franchise. 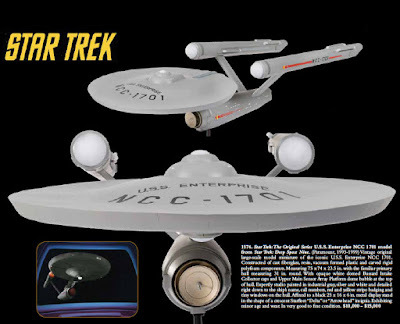 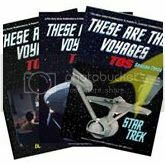 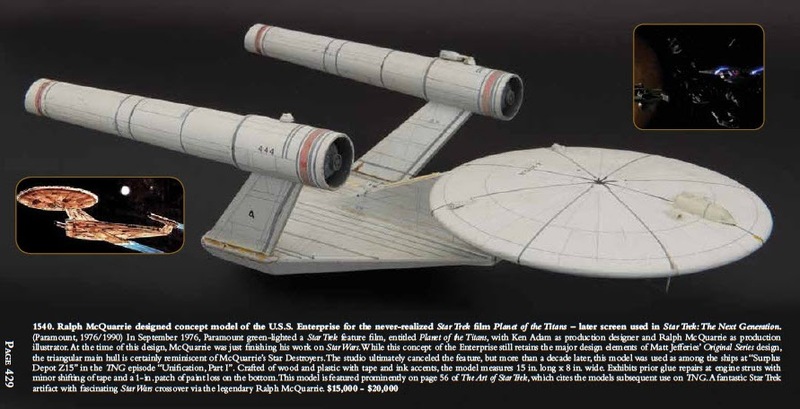 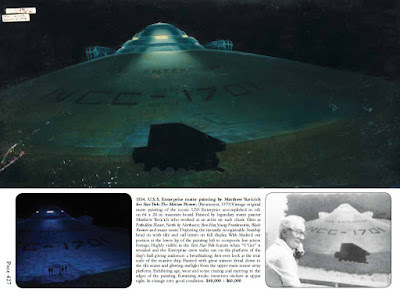 Highlights from Star Trek: The Original Series include a white U.S.S. 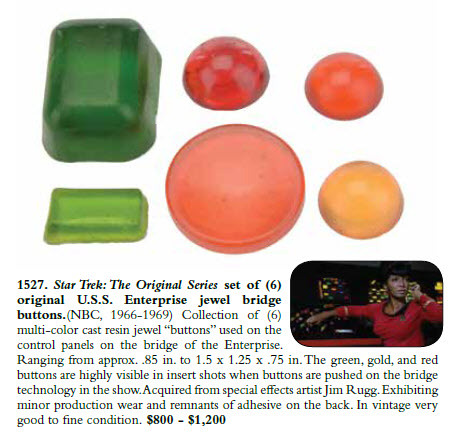 Enterprise Bridge Chair from "The Cage" and "Where No Man Has Gone Before"; a Type II Phaser Pistol; a 3rd season William Shatner Captain Kirk Starfleet command tunic with provenance from the 1993 William Ware Theiss estate auction; a pair of Leonard Nimoy worn Spock ears; a set of colored resin Enterprise bridge panel buttons; and a Tribble from the fan favorite 2nd season episode "The Trouble with Tribbles". 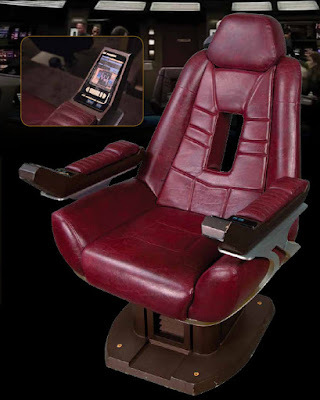 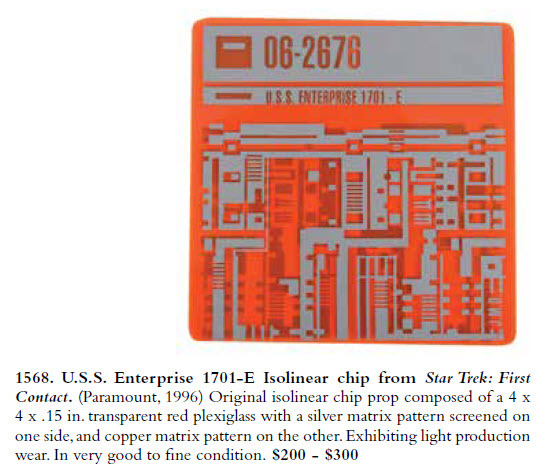 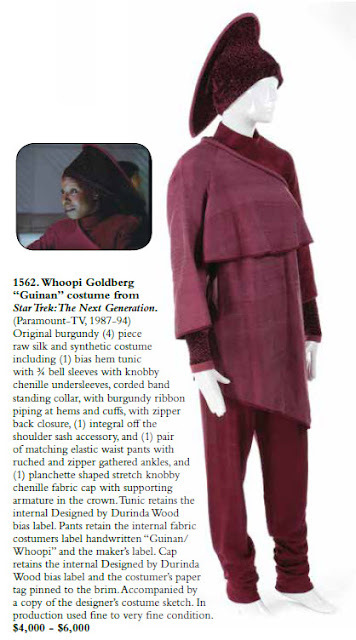 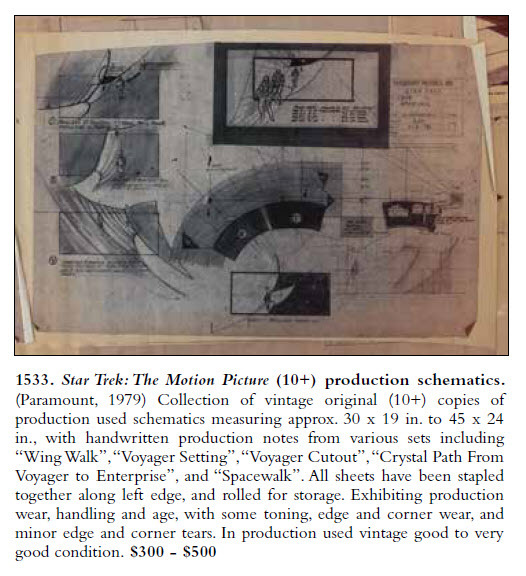 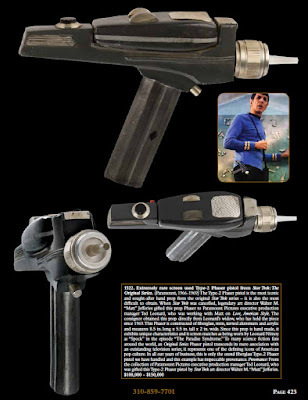 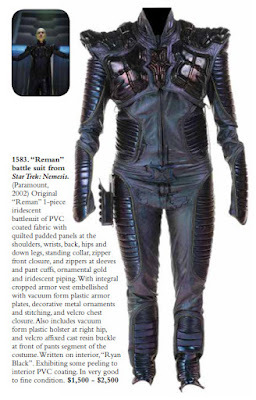 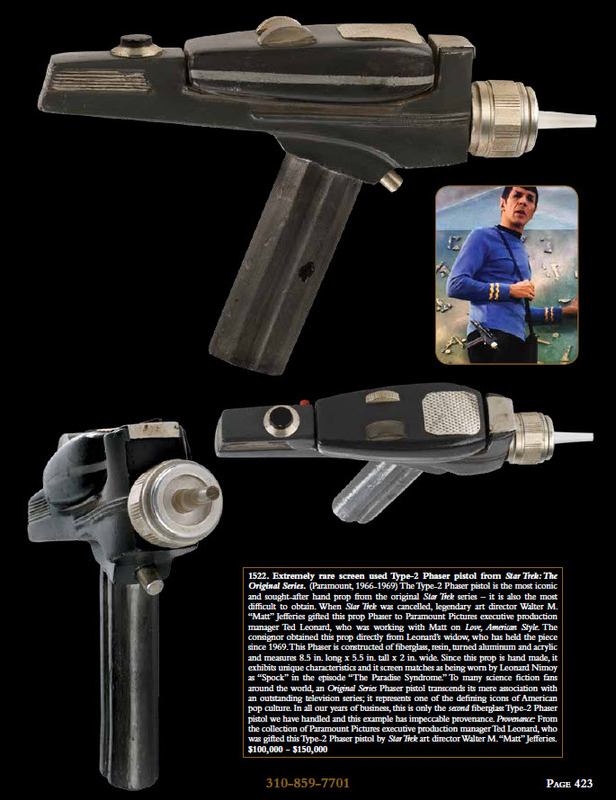 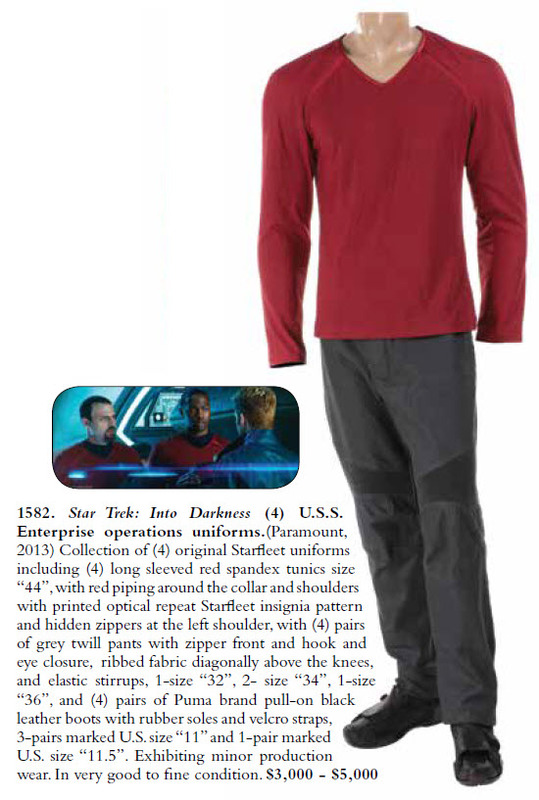 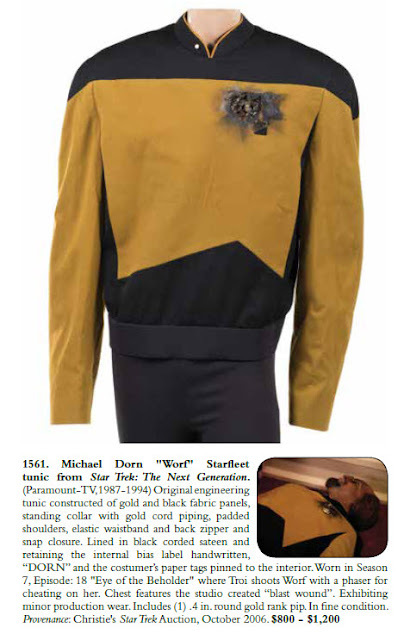 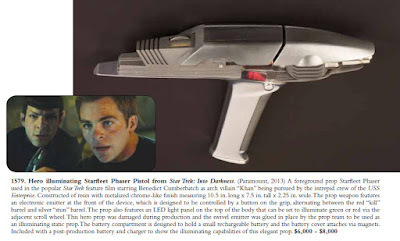 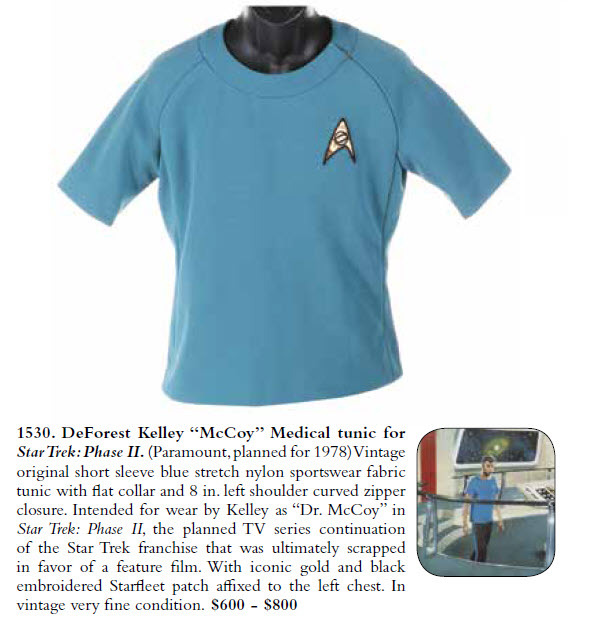 Other highlights from the more recent Star Trek television series and feature films include a Leonard Nimoy Spock Starfleet uniform from Star Trek: TMP; several Type II phaser lots from productions such as Star Trek 3: The Search for Spock, Star Trek: First Contact, and Star Trek Into Darkness; a 75" U.S.S. 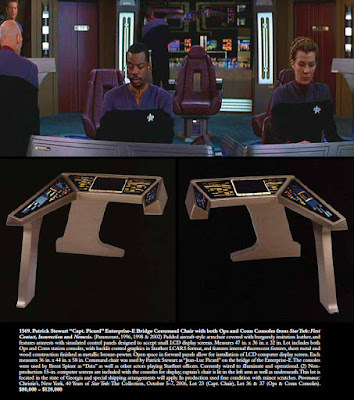 Enterprise NCC 1701 filming miniature from Star Trek: DS9; and a combination lot of historic Enterprise-E bridge workstations from the last three TNG-crew based feature films that includes the Captain's Chair along with both the Ops and Conn Consoles, originally sold in the historic Christie's "40 Years of Star Trek" 2006 auction.